Last year, Lady Gaga, took the Super Bowl halftime show to new heights, literally. With her ‘jump-in’ set from the roof of NRG stadium in Houston, Gaga was the latest to use the Super Bowl platform to launch a major music tour. 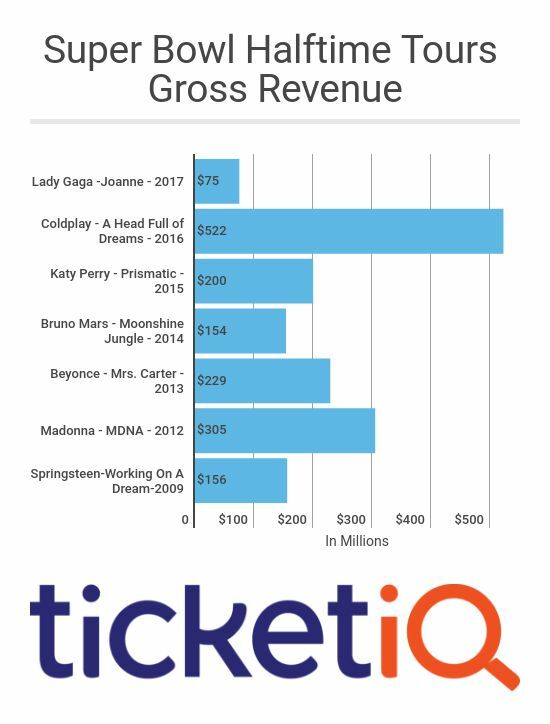 While Gaga’s actual halftime performance may have set the standard, at $75 million in gross sales, the Joanne tour was the lowest gross count for a Super Bowl-launched tour in the the last decade. With his previous 20/20 tour grossing over $200 million, For his latest tour, Justin Timberlake likely has his sights set higher. He also isn’t wasting any time in launching Man Of The Woods tour on March 13th, just over a month after the Big Game. The Super Bowl halftime show has come a long way since the infamous 2004 ‘wardrobe malfunction,’ a show put Timberlake on the national stage in more ways than one. While Timberlake did not use the performance to launch a tour, every halftime performer in the last five year launched a major tour within two to six months of the game. This year, even Pink who sang the national anthem, is getting into the post-Super Bowl touring game, launching the Beautiful Trauma Tour on March first. Pink, from Philadelphia, fought the flu to deliver a successful opening to LII. Another Philadelphia native, Kevin Hart, was not as successful in his effort to get onto the post-game podium, presumably to promote his upcoming Irresponsible Tour which starts on March 16th. While last year may have set the mark as the most watched half-time show, Coldplay’s performance the year before led to the largest grossing tour of any Super Bowl we’ve tracked. At $522 million, A Head Full of Dreams Tour grossed more than twice the next highest halftime-tour, Madonna’s $305 million 2012 MDNA tour. In addition to being the second largest halftime tour, Madonna was also one of the first. In the two years prior, the Black Eyed Peas and The Who both performed but did not launch a subsequent tour. From 2008 to 2012, only Bruce Springsteen used the show to promote a tour, ahead of his $156 million Working on a Dream tour in 2009. For a tour and album that celebrates the outdoors, the great wild north of Minnesota is a fitting location for Timberlake's first Super Bowl since 2004. As an astute performer and business person, JT may have learned from Gaga’s decision to wait until August last year launch Joanne. By kicking off The Man Of The Woods Tour in March, it’s the earliest start date for any post-Super Bowl tour we’ve tracked. 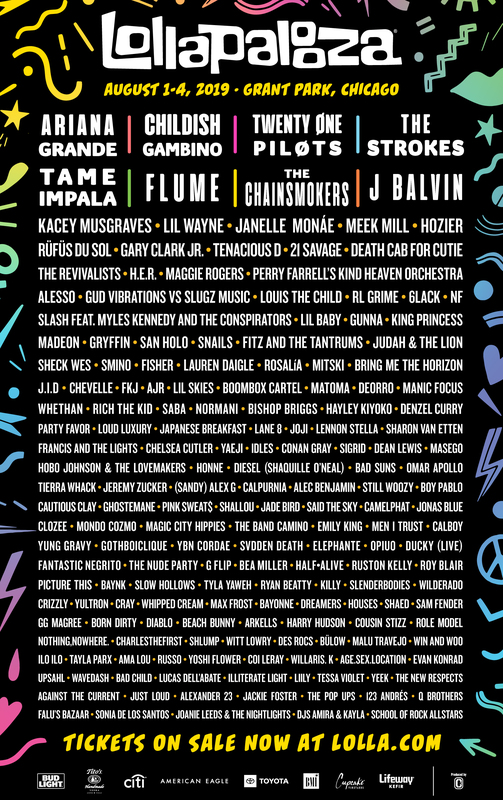 With only 37 North American dates scheduled, it’s also likely just the beginning. Timberlake’s last 20/20 tour stretched over two years and 80 North American dates, grossing over $230 million. While it’s clear that the Super Bowl is the biggest launching pad for the modern mega-tour, even the perennially-touring Dave Matthews has gotten into the act, announcing his Summer Tour on the backs his ‘Night Before’ performance at Xcel Center. Matthews is part of the enhanced ecosystem of entertainment around the Super Bowl, and is the first ‘official’ pre-game arena concert since Metallica performed prior to Super Bowl 50, ahead of their WorldWired Tour. For Justin Timberlake's Tour, Man of the Woods, anywhere from 10-20% of primary market tickets are still available for most shows. If all goes as planned, that may not be the case by the end of the third quarter.